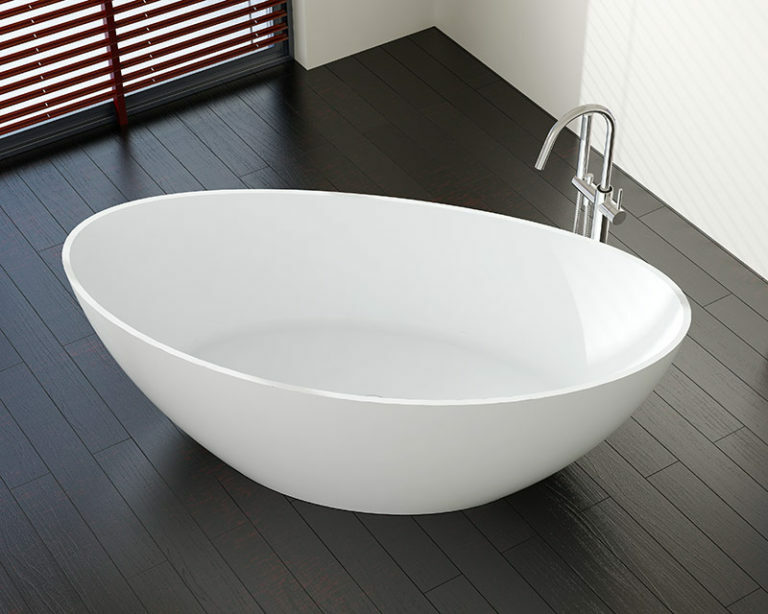 Invite elegance into your home with the magnificent BW-03-L freestanding modern bathtub. Enjoy unparalleled comfort with a clean-lined, contemporary look that adapts beautifully to a range of decor styles. Melt the tension away with unparalleled design and soft, elegant lines for the ultimate in style and comfort. The curvaceous silhouette of this freestanding bathtub offers beauty from all sides that will indulge your bath with timeless elegance. This sleek modern bathtub creates a striking focal point that is evocative of modern luxury. High quality style, function and durability are wrapped up in an elegant package that emphasizes the classic. 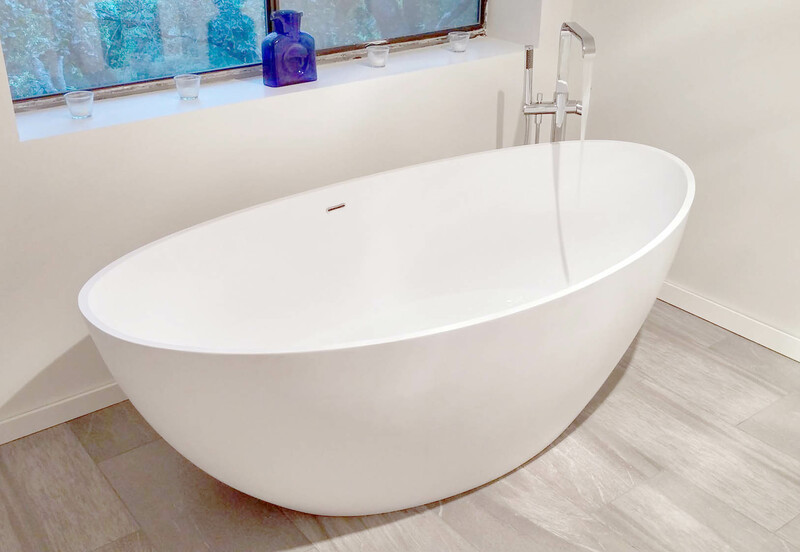 For the epitome of serenity, this stand alone tub is not only unrivaled sophistication and beauty, the smooth white exterior is easy to maintain and evokes a soothing tone in any bath. Break free of ordinary and enjoy the private bathing sanctuary you deserve. While rebuilding our home we visited Badeloft’s showroom. After climbing in (and out) of every bathtub we saw, my husb…and and I both decided on the BW 03L in a matte finish. Tyler was amazing in scheduling and delivering our tub to sync with our construction schedule. We couldn’t be happier!